People for the Ethical Treatment of Animals (PETA) isn’t known for its sense of humor. PETA’s tongue was nowhere near its cheek when the group took up the cause of five performing whales at Sea World, arguing before a federal judge that the whales were slaves subject to emancipation under the Thirteenth Amendment to the United States Constitution. The judge tossed out the complaint last week. Now, PETA is suffering another public embarrassment for its litigious silliness. On Wednesday, Comedy Central’s The Daily Show with Jon Stewart paid PETA a visit. 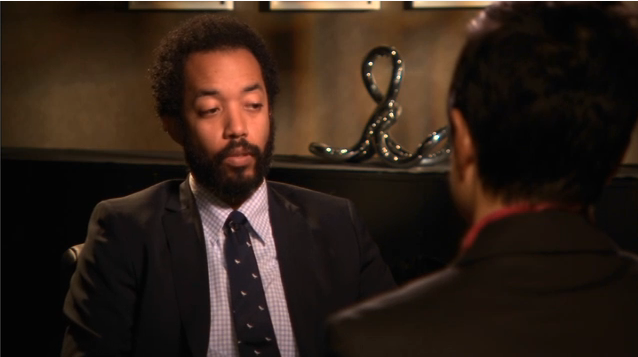 Correspondent Wyatt Cenac sat down with a PETA Senior Vice President who owns a dog. (The dog could have it worse; PETA did kill about 1900 dogs and cats last year.) Accusations of hypocrisy fly, and PETA ends up with soy-based egg substitute on its face. Watch the clip at Comedy Central by clicking on the link in the image below (Content warning: Some inappropriate language).